I don’t think I’ve ever wanted a book to be over as much as I did when reading Beautiful Creatures. Before I even reached the halfway point, I felt as if I’d read enough, that I could put it down and not care what happened. It was just so slow moving—and with almost six hundred pages, that’s definitely not what you want. It has a lot of descriptive scenes, adding in things that aren’t essential to the plot, or even at least a little interesting to the reader. I had no desire to learn about the town’s civil war re-enactments—I just wanted to find out about the curse. It’s basically a big chunk of Ethan and Lena thinking that they love each other but can’t say it, the townspeople obsessively hating them, and the threat of an evil curse coming to tear them apart. If it had been 300 pages, then maybe I would have enjoyed it more, but as it stands, I just can’t stop shaking my head at this book. If you love high school angst, you’ll probably really enjoy this one. 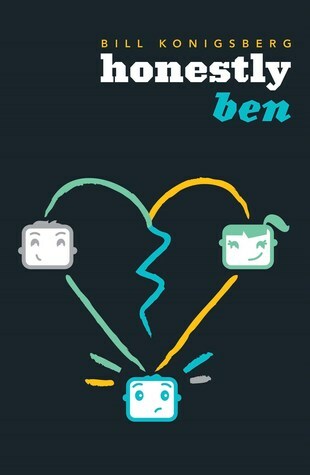 It’s got the small town thing, the new girl at school, and the disaster that results when the two collide. There is a lot of over-the-top hating going on because of who Lena is related to, involving the parents, students, and ‘concerned citizens’ of Gatlin. None of these bitchy girls were memorable and neither were any of the guys on the Ethan’s basketball? team. The only ones that I have any real recollection of at the end were the main couple, of course, and Ethan’s best friend, Link. But, bear in mind that this book took me around two weeks to get through. I’m not quite sure what the point of the in-depth look at Ethan’s family life was, but it may add more to the story in the two succeeding books. His dad, pretty much a shut in since Ethan’s mum died, is only mentioned for the majority of the book. His absence, however, was filled by a stand-in-mother of sorts. Amma, while adding a layer of authority back into Ethan’s life, confused me as to her purpose in the grand scheme of the plot. I liked her character, even though she did seem somewhat contradictory as the book progressed. The romance didn’t do a lot for me. It was clear from Ethan’s mind that he was attracted to her, but it didn’t really click beyond knowing that fact. It has a lot of awkwardness on his part, but there are also times where he is full of confidence. I did like the fact that this book had the leading female character as the possessor of the paranormal, but it didn’t really feature much in the way of magic. It makes sense plot-wise, but it could have been more exciting with a big battle. I’m guessing that’s for the following books though. I didn’t hate this book, I mean, I made it through to the end, there had to be something that kept me going. The mind speak was a cool addition, allowing the two main characters a way of communicating, no matter where they were, even when they weren’t together. I also enjoyed Macon’s dog, and I’m not a dog person. I liked the progression of Link over the course of the book, showing his herd mentality through to the eventual opening of his mind. With everything that happened, I’ll probably come back for the other two books later on just to see how it plays out, but it may not be for a while. Those who enjoy long, wordy descriptions, and detours from the plot. Think Twilight, but with a male POV. I completely agree with you with basically EVERYTHING in this review, Brett. This is how I felt when reading Beautiful Creatures… Beautiful Darkness is quite the same. 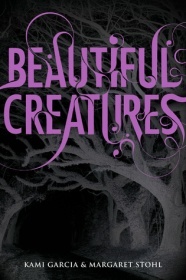 While the sequel and the third book didn’t blow me away, but I’ll always love Beautiful Creatures. Great review! I’ve seen the book around, but the blurb never really interested me. Thanks for the honest and detailed review. I think I’ll pick this up if I have time, but seeing as I have hardly any time now, I might not get round to reading it.